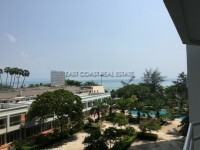 Laguna beach resort 1 - This Rare 2 bedroom unit with 88 sq.m set on 8th floor and comes with fully furnished. The owner has completely apartment with a living room with sofa and flat screen TV with a Home theater plus dining areas, kitchenette and separate 2 bedrooms also with 2 bathrooms. The project boasts an array of first class amenities including a 1,300 square meter lagoon pool with a wave machine, artificial sand beach, 'Jacuzzi caves' and a water park, lush landscaping, boardwalks, gazebos & poolbars, stand-alone fitness atrium, child's play area and underground parking under all buildings. It is available for sale with title deed held under Foreign name ownership and transfer costs to be split 50/50 both parties. The unit is available to view Any time. Please call or email us for an appointment today.